As I was spring cleaning the cupboards the other day (I do seem to do this alot! ), I found two packets of kidney beans that I just had to use up - they had bean(!) there much too long. I was hunting through the cupboards looking for some chickpeas I thought were there so I could make hummus. 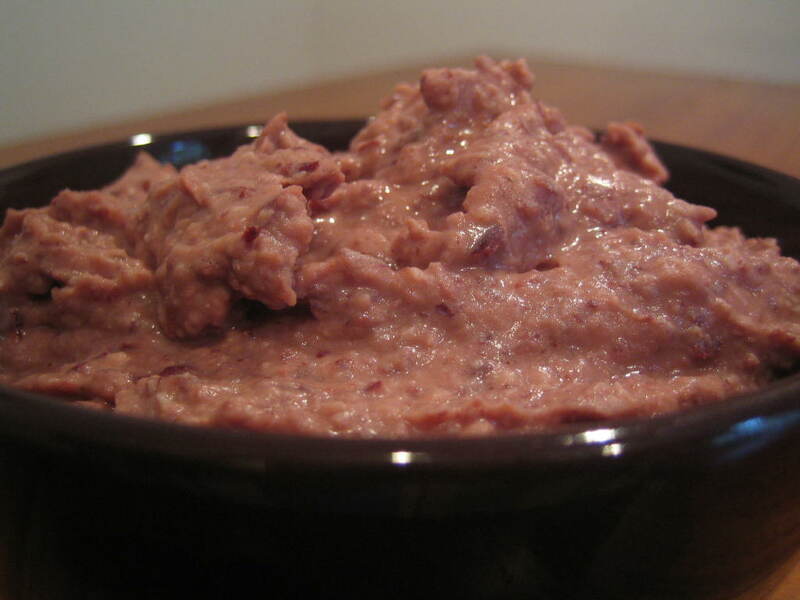 No chickpeas, so there was nothing for it but to make kidney bean hummus. I could only imagine the pleasing pinkness that would result! Puree the beans and the garlic in a blender or with a stick blender, I don't find a food processor works very well making it grainy. Of course a pestle and mortar or a potato masher are not out of the question either! Add the remaining ingredients mixing well adding more or less as you like, and perhaps some water if it is too thick but lemony enough. Serve as you would hummus. This freezes well too. What a great idea! Do you make your own tahini or do you buy it? I buy it, I think it would be so much more expensive to make, but no reason not to try once, one day . . . ! lol if you think it would be more expensive to make...you're crazy! 89 cents for a can of beans and what..20 cents for bulk garlic...the best way to make it is ROAST the garlic with a bit of olive oil, salt and pepper..I'm trying fresh basil in this batch..400f for about 40 minutes, drain the beans and add FRESH lemon juice to taste..serve with pitas or make your own pitas..lol so in total you pay what 2$ for an amazing home made/fresh hummus and no harmful preservatives...happy shitting. It was the tahini we were speaking of making! You are so right home made hummus is a bargin!